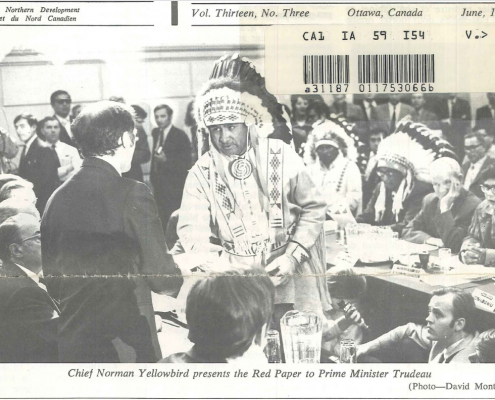 The Indigenous Knowledge & Wisdom Centre (IKWC) is not a new idea as it was borrowed from Citizens Plus, June 1970. This concept was called the ‘Alberta Indian Education Centre’ and was designed to promote studies of Indian history, culture, language and values (Citizens Plus, Indian Chiefs of Alberta, June 1970). It is noteworthy that the ‘red paper’ was drafted in the very same building the IKWC office is located in today. The idea of an ‘Education Centre would have certainly been lost if it was not for Ms. Marilyn Buffalo and Ms. Sheena Potts who insisted on the idea that a cultural education centre be included in the Education MOU. In the spring of 2012, a draft of an IKWC business plan was developed by the IKWC sub-table, and was revised a year later in the spring of 2013. On June 13, 2013, at a duly convened meeting of the Assembly of Treaty Chiefs, the Chiefs Resolution: #2013-06-12/R10 was passed in support of IKWC. In 2016, a Chiefs’ Roundtable was held in Kananaskis, AB; the Chiefs agreed to proceed to create a federally incorporated not-for-profit entity and appointed an Interim IKWC-Board of Directors. The IKWC office opened its doors and began operations in the spring of 2017 where it will be a centralized location offering education, policy, language and culture. 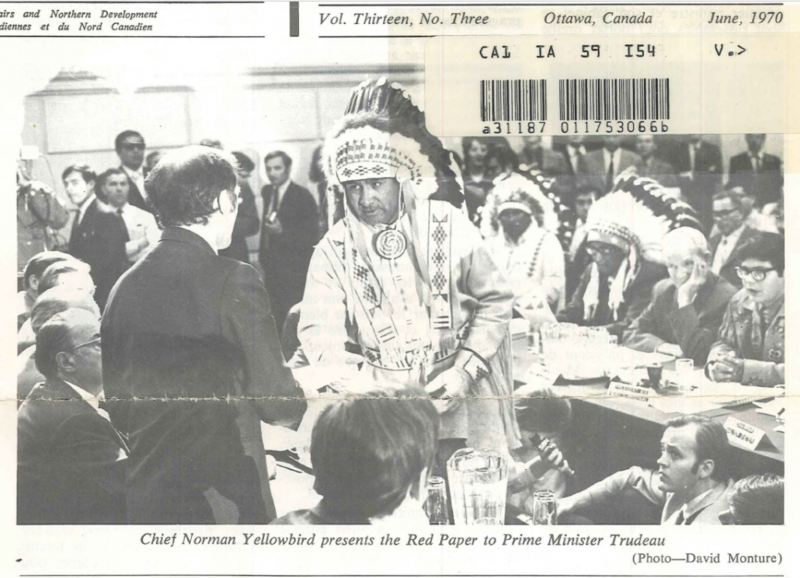 It will provide a repository of information on Treaty No. 6, Treaty No. 7 and Treaty No. 8. Members, and a First Nations directed environment to learn and share information.